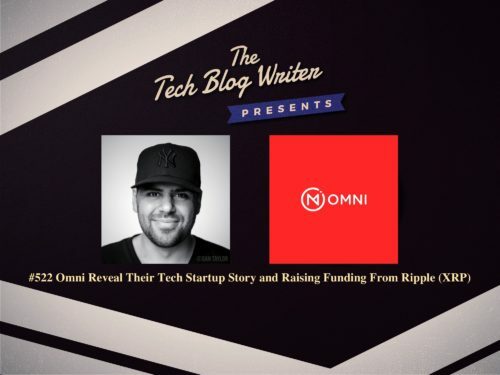 Omni first appeared on my radar when Ripple, the FinTech startup behind the controversial XRP token, revealed its first investment after it backed the U.S.-based storage startup through a $25 million round. Have you accumulated too much stuff over the years and wish you could manage your life like dropbox? Where you could upload the stuff you use once in a blue moon to the cloud and then just get hold of it when you need it? You don’t want a surfboard in your home in Birmingham here in the UK or New York in Feb, right? At Omni, they are fundamentally changing the way people think about ownership. When you keep your things in Omni instead of your closet, they’re everywhere you want them to be: Access anything you need – whenever, wherever – with just a few taps, and Omni will deliver. Rent items you need or want to try from other members of the Omni community and earn extra money by renting out your unused items, all without ever leaving home. Omni enables everyone to reclaim their space AND keep their stuff. We seek to help everyone live lighter – that is, to live the life they want and have access to all the things they need – no matter the size of the apartment, house, loft, trailer, boat, yurt, or teepee they find themselves calling home. To date, Omni has raised more than $40MM in venture capital and through strategic partnerships. Tom McLeod is Founder and CEO of Omni, the on-demand personal storage concierge based in San Francisco. With over 10 year’s experience growing innovative companies, he previously co-founded Pagelime, a SaaS CMS used by over 30,000 designers worldwide, and the mobile app lab Imaginary Feet, launching and marketing 15+ apps to over 10 million users. With a degree in audio engineering from American University, Tom’s first venture was the “successful-til-it-wasn’t” recording studio Heavy Syndication, which quickly transitioned to become a web design firm with the changing music industry. Having recorded over 500 songs, he still consults on the occasional music project. This story about accessing things rather than owning everything has it all and an inspiring tech startup journey. From a fantastic idea, Stefan Thomas at Ripple, the Fintech startup behind the XRP token, backing Omni through a $25 million round, to turning to Amazon exec, Brandon Rowan to scale the business.